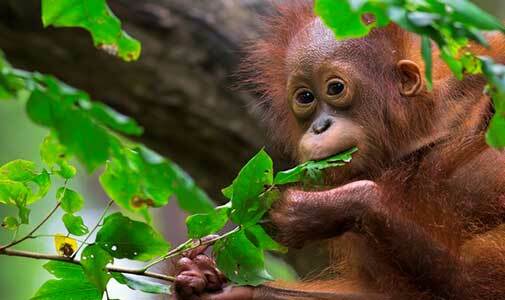 Sabah, the northeastern part of Borneo, is one of the most exotic areas of the world. And if you live anywhere in Southeast Asia or Australia, it is easily within financial reach, as airfares from Sydney to Kota Kinabalu are as low as $420 return. My husband Barry and I were put off at first by the fact that most explorations require being part of a tour, but we soon learned that many places wouldn’t have been easily accessible on our own, anyway. Kota Kinabalu, the capital of Malaysia’s Sabah state in the northern part of the island of Borneo, is a big, sprawling city and the gateway to the many unique attractions of Sabah. At 4,095 metres, Mount Kinabalu is the highest mountain in Southeast Asia and a UNESCO World Heritage site. You can climb independently (and less expensively) than if you book a tour, but you’ll be paying mandatory fees to different groups, including a climbing fee to the park, which includes a permit, insurance, an obligatory guide, two meals and the park entrance fee; and a separate fee to Sutera Sanctuary Lodges (SSL), the company that operates the mandatory lodging and restaurant facilities on the trail. The climb will cost between $700 to $850 per person. 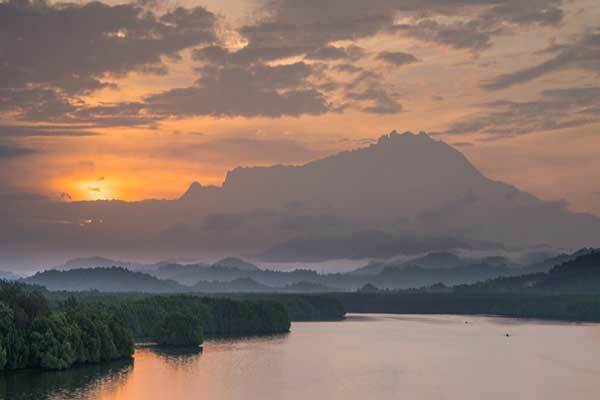 Most tour operators include return transfers between Kota Kinabalu and Mount Kinabalu, but you can also take a taxi for $40 from Kota Kinabalu, about two hours away. Anyone who is reasonably fit can complete the climb. 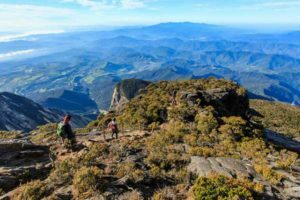 Most hikers take four-five hours to reach Laban Rata lodge, which is six kilometres from Timpohon Gate—the starting point at 1,866 metres—and three hours to hike the final, steep three kilometres to the summit the next morning. Climbing Mount Kinabalu is a journey through different botanical environments, from tropical jungle at the base to the rocky summit plateau. Unfortunately, even after you’ve paid the money and hiked two-thirds of the way up, you may not be able to reach the summit. Barry and I hiked for four hours, sloshing through rain and mud, arriving at the lodge in the afternoon. After dinner, everyone went to bed, knowing we’d be up early to find out if we could climb to the summit. But at 2:45 a.m., as we huddled together in the cafeteria, we heard the verdict: no. Rain, wild wind and poor visibility were the culprits. Back to bed we went, disappointed yet relieved, given the conditions. Later, after breakfast, we descended the slopes, retracing our steps to the jungle below, where we used our second voucher for lunch at the park cafeteria, a consolation prize for our thwarted efforts. If you climb to the summit, you’ll need a headlamp in the dark, as you’ll use both hands for climbing during the ropes section. If you’re lucky, you’ll be rewarded with a stunning sunrise. 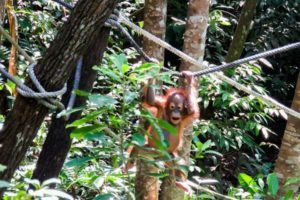 A 40-minute, $60 flight from Kota Kinabalu, the town of Sandakan is an ideal base for exploring the Sepilok Orangutan Rehabilitation Centre . Bus or taxi will take you the 25-kilometre journey. 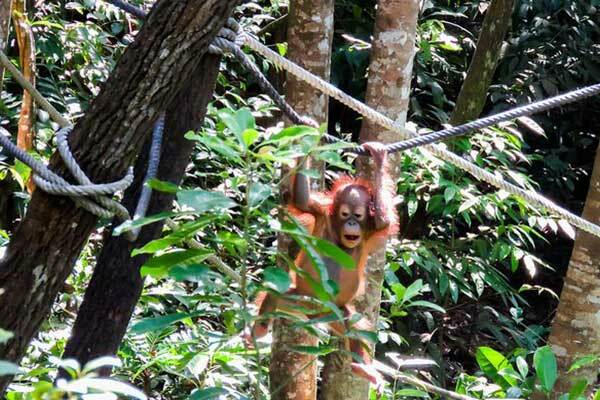 This huge, generous space is the home of baby orangutans rescued from logging sites, plantations and illegal hunting. The entrance fee, used to aid rehabilitation efforts, is $12 per person. 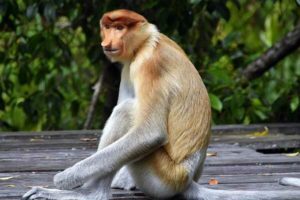 On day and night hikes and river cruises, you can see orangutans, proboscis monkeys and animals you may never have heard of. Our international group stayed in cabins at the Nature Lodge Kinabatangan, whose current prices are about $70 per person per night, breakfast included. During the day we saw long-tailed macaques, silverback and proboscis monkeys. But the night walk was the best, because we saw exotic birds like the threatened black-throated babbler and an astonishing mammal, the tree-hugging tarsier. Through my anthropomorphic eyes, the tarsier looked like an owl—wise but kind. Far from it, apparently. While small and compact, the tarsier is highly aggressive. I kept my distance! On the cruise down the Kinabatangan River, we saw storks, hornbills, egrets and eagles. But most thrilling was watching an orangutan swinging from the branches and grabbing clusters of fruit for breakfast. A messy eater, he didn’t seem to care that his chest was covered with sticky seeds. The train departs Tanjung Aru Railway Station in Kota Kinabalu at 10 a.m. on Wednesdays and Saturdays and returns at 1.45 p.m.
Our old-fashioned train, featuring colonial passenger carriages and costing $125 for the round-trip, chugged through 134 kilometres of paddy fields, rivers and villages with homes on stilts on the four-hour journey. We stopped for 45 minutes in Kinarut to visit the Chinese Temple and in Papar, in Borneo’s rice bowl. On the way back we dined onboard on a delicious Asian and Continental lunch, included in the fare price.